There’s rain, and then there’s rain in Livingston. Make sure you’ve got the right level of protection from the elements. For ultimate protection, purchase fully waterproof garments. 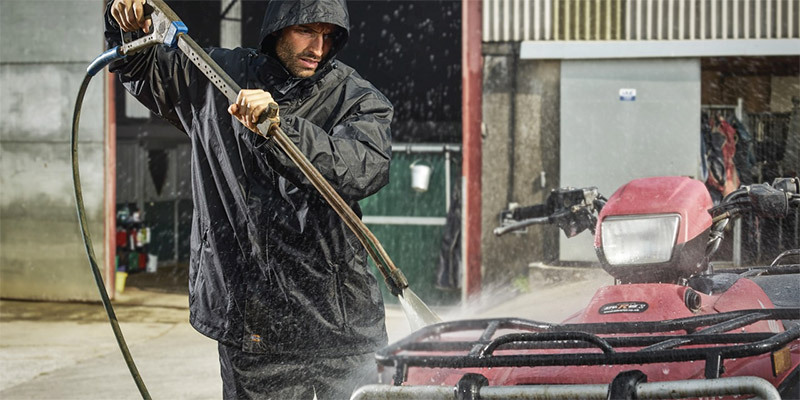 Liquid can’t penetrate the waterproof fabric that these clothes are made from at all, making them the best choice for those who work close to water or need completely rainproof insulation. Water repellent clothing is ‘hydrophobic’ - it is typically covered in a waterproof membrane that causes the water to form beads on the surface. This will keep you dry in all but the harshest of conditions. Water resistant apparel will protect you from lighter showers, but it is made from a permeable material which will soak through in heavy rain. Choose the right level of water resistance for your needs. Also look out for these standards on the product tags. EN 343:2003 means that the product offers protection from rain, with classes 1 and 2 offering adequate protection in moderate conditions, and class 3 offering higher levels of impermeability. EN 14360:2004 means that the product will protect you from ‘impact from above by high energy rain droplets’ - always a possibility in Livingston! Livingston is a thriving shopping destination in West Lothian. Technology companies and factories, along with the NHS’ St John’s Hospital and large retail centres, create a need for reliable waterproof workwear in Livingston. Locals and visitors enjoy shopping trips, days out and cultural events in Livingston. We provide waterproof workwear and a range of PPE in Livingston and will deliver your products to your doorstep. Delivery to any Livingston area is free of charge for orders over £150. PPE has a wide range of waterproof jackets on offer right across Livingston. Whatever your style and budget, we’ve got the right rain jacket for you. First decide if you’re after a more lightweight jacket, or one that is insulated and breathable as well as weatherproof. Then choose from great brands like Carhartt, Dickies, Scruffs, Mascot, and Snickers. All of our products are subject to regular testing and review, and we listen carefully to customer feedback. We’re sure you’ll be happy with the level of protection you get when you by your waterproofs from PPE. First and foremost, you want workwear that keeps your team warm, dry and protected at work. When the team is on site and in full view of the public, you also want to give them a professional and unified look. 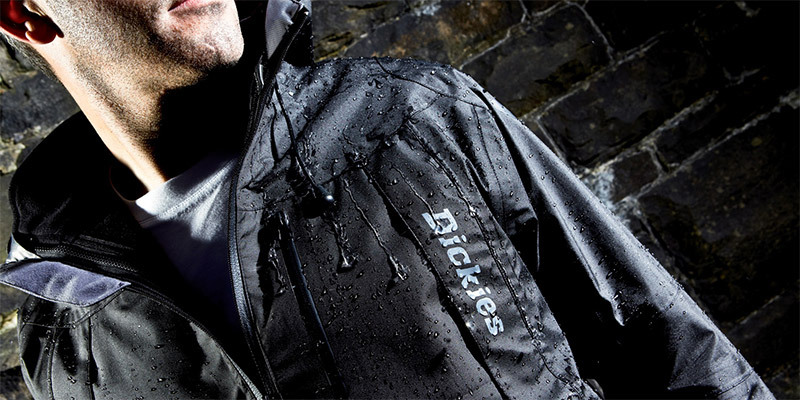 Raise your company’s profile and improve your brand identity by printing your corporate logo onto your waterproof gear. Wherever you’re based in Livingston, PPE can add your logo onto your waterproofs by embroidery, giving your work outfits a unique and eye catching look without compromising on protection from the elements.